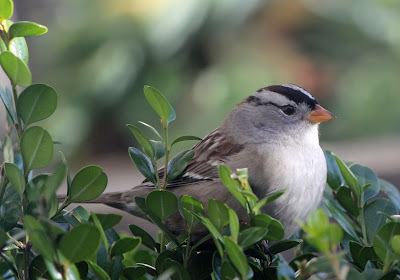 White-crowned Sparrow (Zonotrichia leucophrys) on boxwood hedge. Wooly Rose (Echeveria cristata 'Doris Taylor') cannot withstand freezing temperatures. Questionable Plant. Some of my frost-sensitive plants get special treatment these days by being placed close to the house to take advantage of the heat from the walls. They are also moved around where they can be in the sun even for just a few minutes of the day. Frost damage can be avoided or reduced when the plants get a chance to recover by getting exposed to warmer temperatures early the next day. This wooly rose (Echeveria cristata) cannot withstand freezing temperatures - a lesson I learned last year. Fortunately, it survived and that is why it is still here - but it is now under observation. Plants that die in my garden because they require too much care do not deserve to be here. Suitable Plant. If a plant proves to be suitable under our climatic conditions and if they prove to be beautiful and requiring minimal maintenance, then it deserves consideration. It is guaranteed that it will be provided with the chance to proliferate. Sometimes we fall in love with a particular plant that we ignore the amount of effort that we put into its maintenance. As gardeners we all need to train our heart and mind to agree. The leaves crack. Too much water in the plant tissues result in increased turgor pressure; eventually the pressure breaks the cell wall. Normally, transpiration (loss of water through the leaves) alleviates the pressure coming from the contents of the cells. The leaves of most succulents, however, are designed to hold water. Transpiration, which is a constant event in most plants, balances the water level in the cells. In the case of succulents this process is set to very low level or even none at all. 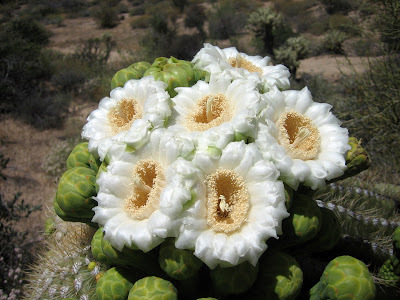 Sometimes they have leathery or waxy leaves from a thick layer of epidermis that keep the water inside. This is how they adapt to dry environments. However, when they are exposed to conditions of excessive water their defensive virtues work against them. Not all succulents respond to excess water in the same way. Some of them rot starting from the parts that are directly in contact with the excess moisture. 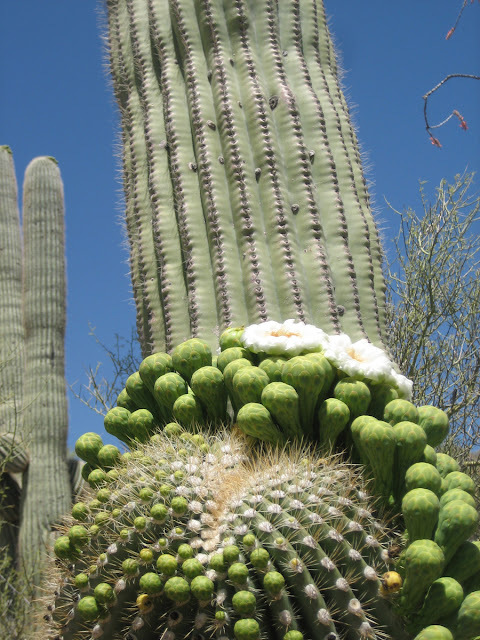 In the wake of the tragedy that has beset Arizona last Saturday, I present to you the state flower of the Grand Canyon State - the Saguaro (Carnegiea gigantea)! While basil, cilantro (annual), garlic chives, sage, and oregano (perennial) have surrendered to the effects of winter, some of them are still growing and providing us with the needed aromatics for the season. Rosemary (Rosmarinus officinalis) is growing beautifully - it is hardy in temperatures that are way below temperatures in our area. My rosemary plans are planted in pots. Every year I transfer them to a bigger pot allowing them to get bigger. When trimmed properly they make great topiaries and landscape plants. The good thing about rosemary is that it is very easy to propagate. Early in the fall, my fifteen-year-old son cut some branches and propagated them. With his "high-neglect" technology he was still able to get a good survival rate. The scientific name Rosmarinus comes from the Latin words: ros meaning dew and marinus meaning sea. In other words dew of the sea. Rosemary, a Mediterranean plant, is drought tolerant. It is believed that the dew of the sea is enough to supply its water requirement. The word officinalis indicates that it is a plant with a medicinal value. These mint hills are planted in hollow blocks that I used as border for my vegetable plots. It turned out to be a great container for this ever-spreading plant. They were planted last spring and have been trimmed twice - once in the summer and once in late fall. Regular cutting-back prevents the stems from touching the ground - which is to be avoided at all times. Mint is roots so easily and sends out stolons that spread underground. Stolons are modified stems that grow underground. They emerge out of the ground, to function and become regular stems. By the time the stolons appear above-ground it's usually be too late. An invasive plant has established itself in your territory. The tiny-leafed thyme is maintaining its foliage. In the vegetable garden, I plant it as ground cover in between rows of vegetables. It is shallow-rooted which means that it is not a potential danger to other plants. Last spring I tucked thyme under zucchini and tomato plants. In the shade, thyme produces longer internodes and softer leaves which I prefer for kitchen use. As an ornamental plant, it is best to plant thyme in full sun. In early November I planted some small onions (too small for consumption) from the previous crop. Now they are almost ready to be harvested as green onions (see picture above). Chives which were divided at the end of summer are doing well in 4" x 4" pots. Rain and wind have caused the plants to lodge but they look great. I am waiting till we get closer to warmer temperatures before I trim them down. This is to discourage new growths from coming out (and allow the old ones to just die down. They look somewhat sad now but it won't be long till they get revived again. See how some of the herbs looked during the spring and summer of last year: Sage and Rosemary; Chives; Mint; Garlic Chives; and Oregano. Horseradish (Armoracia rusticana) has been named as the herb of the year 2011. It might be a good time to try it in my garden. What plant are you going to add to your herb collection this year? To all my friends in the gardening world Happy New Year! May your seeds sprout after you have planted them. May sunshine and bees greet your flowers. May the fruits of your trees and vegetables be many and worm-free. 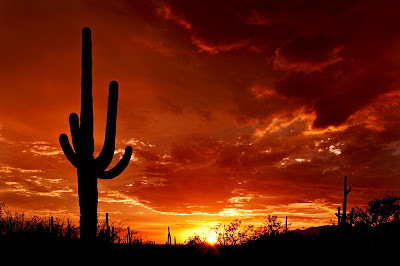 May rain fall on your garden when the soil is dry and when you are too busy to water. May sunshine cause the water to evaporate quickly when you over-water your plants. And wither by the majestic shade of their canopies. And may you find time to journal for posterity. Finally, may all the life found in your garden remind you of the magnificence of the Almighty Creator!